Chris Isaacson Presents has announced a one-night-only concert event at the John Anson Ford Amphitheatre on Saturday, August 16 at 8pm. Broadway Under the Stars will star Tony Award-winner Jennifer Holliday (Dreamgirls) and will also feature (in alphabetical order) Obba Babatunde (Dreamgirls), Erich Bergen (Jersey Boys, stage and film), Rogelio Douglas, Jr. (In the Heights), Danny Gurwin (Little Women) and Tony Award-nominee Chad Kimball (Memphis). 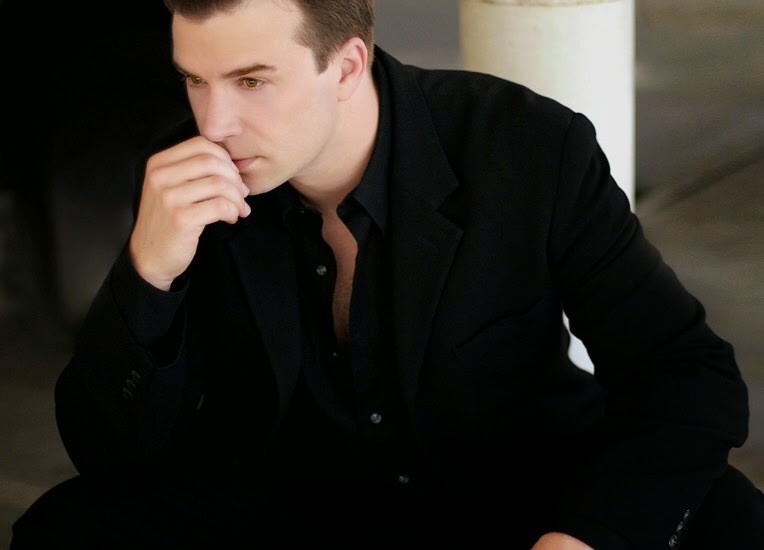 David Galligan will direct, and the music director is Gerald Sternbach. Four of the male performers sat down to chat about their participation in this spectacular event and about some of their individual career highlights. They are Obba Babatunde, Danny Gurwin, Erich Bergen and Chad Kimball. First up is Obba Babatunde. 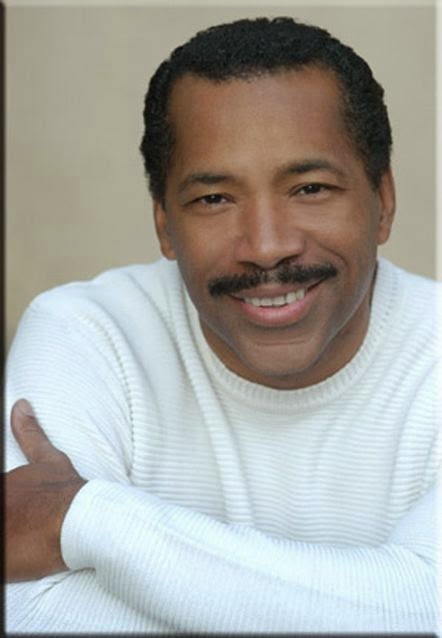 Tony Award nominee Obba Babatunde has been set to host the evening. Obba Babatundé created the role of C.C. White in Dreamgirls, for which he received a Tony Award nomination. Other stage performances have included Hal Prince’s Grind, Billy Flynn in Chicago, as Sammy Davis, Jr. in the new musical Sammy, and the original production of Jelly’s Last Jam (playing the title role). On television, Babatundé has appeared on Half & Half, NCIS, Cold Case, Are We There Yet?, Soul Food, Friends, and Love That Girl. His feature films include The Celestine Prophecy, Material Girls, After the Sunset, The Manchurian Candidate, The Notebook, John Q, That Thing You Do, and Philadelphia. Are you performing in this event? Well, I'm hosting as well as performing. I'll be doing three individual numbers. We open with "Magic To Do" from Pippin and I'm also going to do "Mr. Bojangles". Oh, wonderful! You'll be great with that. Thank you. Then I have something special that I'm going to surprise everyone with. Great! Tell me about working with Jennifer Holliday in Dreamgirls. Jennifer and I were part of the workshop that actually created the musical Dreamgirls. She was 19 years old when she came into the company. It was her...really first foray other than Your Arms Too Short to Box with God. She was just like my little sister. So we developed a beautiful and wonderful friendship. Describe the changes that went on during that workshop. A lot of changes! Jennifer left after the first workshop, which was six weeks. All of these characters were being built on us. We spent two more workshops trying to replace the essence of Jennifer Holliday, which was just not possible. Fortunately for us, and for her, I'm sure because of the success, she returned. The rest is history. Wasn't one of her big numbers not in the show originally? "I Am Changing". She had done "I Am Telling You..." in the first workshop. The second act changed drastically when Jennifer came back, because of Jennifer and her brilliant foresight. We couldn't replace the essence of that character...her character was left to die. And Jennifer said, "No I won't come back if my character dies." So, the whole second act took a different turn, and it was actually great for the production. That's what created the record war between Dena Jones and the Dreams and Essie White and C.C. White. It worked for the better. You had a fabulous time with the whole run, correct? Oh, it was a magnificent experience. Tell me about your show on Sammy Davis Jr. There are two shows. Once in a Lifetime is the show I created after I had done Sammy. Once in a Lifetime is my tribute to the great late Sammy Davis Jr. Sammy at the Old Globe (San Diego), a brilliant production...there's still hopes for it to have a new life. Getting a show to Broadway is a long journey. What is the difference between the two musical shows? Sammy is a full-on musical with several cast members and Lifetime is a one-man show with just me. Sammy tells the story of Sammy's ongoing journey. The other is Obba Babatunde speaking of his personal relationship with Sammy Davis Jr, and paying tribute to him with the type of show that he would have done. Any chance you may do Once in a Lifetime anytime soon here in LA? Yes. I've done it now a couple of times to huge success. I'm going to be doing a promotion for Under the Stars with an excerpt from that on the 30th of July. You do not want to miss this spectacular evening of songs from the world of theatre! Broadway Under the Stars is at the John Anson Ford Amphitheatre, 2580 Cahuenga Boulevard East, in Hollywood, for one performance only on Saturday, August 16 at 8pm. Tickets are $40, $55, and $95; for students and children, tickets are $20. VIP packages are available (includes premium seating and a post-show reception with the artists). Purchase by August 2 and save $5! Discount tickets are available at FordTheatres.org or by calling 323-461-3673. To learn about discounts for groups of eight or more, call 323-769-2147. A portion of the evening’s proceeds will benefit The Actors Fund, a national human services organization that helps everyone — performers and those behind the scenes — who works in performing arts and entertainment, serving more than 17,000 people annually. Programs include social services and emergency financial assistance, health care and insurance counseling, housing, and employment and training services. www.actorsfund.org. Chris Isaacson Presents has announced a one-night-only concert event at the John Anson Ford Amphitheatre on Saturday, August 16 at 8pm. Broadway Under the Stars will star Tony Award-winner Jennifer Holliday and will also feature (in alphabetical order) Erich Bergen (Jersey Boys, stage and film), Rogelio Douglas, Jr. (In the Heights), Danny Gurwin (Little Women) and Tony Award-nominee Chad Kimball (Memphis) David Galligan will direct, and the music director is Gerald Sternbach. What are you singing in Broadway Under the Stars? I'm going to do a medley of songs from Little Women, something that David (Galligan) wanted, and a song from Once and a one from Aladdin. So it's a combo of stuff I've done and then a couple of numbers from more recent Broadway shows. I may also do a song from Les Mis. Any plans for your wonderful cabaret show that you performed last November? Because of my schedule with teaching at Arizona State and with John Randall's limited availability, it's been difficult to set anything up, but I'm looking at hopefully Sterling's Upstairs at the Federal next year. What is your favorite show that you've done? I loved doing The Scarlet Pimpernel, which was my Broadway debut. I loved the people and the whole process. I also really loved A New Brain. I stood by for Malcolm Gets. There's just something about being at Lincoln Center and watching Graciela Daniele work every day. As a young actor, it left such an impression on me... and it was a brand new Bill Finn show, so it was really amazing to be a part of it. How does teaching and directing musical theatre full time at Arizona State work in with your career? You seem excited about Broadway Under the Stars. Gerry's (Sternbach) working really hard arranging. We're going to do a number with Obba Babatunde. I'm looking forward to working with both of them, Obba and Jennifer Holliday. I've watched them for years. It's really exciting. 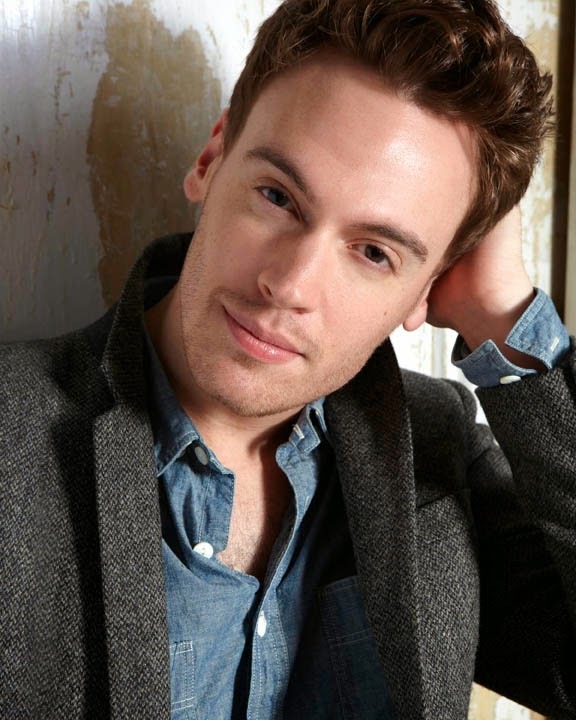 Erich Bergen took time out from his busy filming schedule in New York to chat about his appearance in Broadway Under the Stars and about his career. First of all, congratulations on the film of Jersey Boys! The camera loves you and you were quite funny. What are you doing in Broadway Under the Stars? What we're putting together is sort of a history of musical movies and my connections to them, ending with my experience in a musical movie. Musical films were very influential on me growing up, so we decided to take a look at and sort of make a path through them, looking at the MGM stuff...and also talking about them on stage, I got to do Anything Goes and White Christmas in LA, so we're going to take a look at those productions as well, and go back and do a couple of songs from those as well, and end with Jersey Boys stuff. It sounds like quite a lengthy number. Yeah, about a 20 minute set. It's hard because I'm in New York, so they're sort of putting the show together without me and then I'm coming in and doing my thing. I've been rehearsing over scype with everyone. Have you ever worked with Jennifer Holliday? No. I've seen her in concert many times. She's fabulous. I saw her in Vegas where she was the guest entertainer in the George Wallace Show. It's always been a thrill, and now I get the chance to work with her. How did you adapt your stage performance to film? Was it challenging? I think what was so great was that Clint (Eastwood)...one of the reasons that he hired people from the show was...he always said "You can't beat having 1200. 1500 performances with the role. You can't beat that kind of rehearsal. No one would be able to do it better." He wanted us to continue to do the work that we did onstage in terms of our characters. He didn't want us to rethink it. If you're a smart, in-tune actor, there are some differences that occur naturally when you're working with the camera right in your face. We were saying the same lines; so much of the script was the same. That's what I liked about the film. He kept it very close to the show. Exactly. And that was the thing that it was so odd for me to be thinking about certain scenes like in the bowling alley. Onstage it was a piece of plywood that came down from the rafters. You had to pretend it was a bowling alley. We're doing the same scene, the same lines and we're inside of a real bowling alley in Pasadena. There were times when you had to remind yourself, "Oh my God, I'm actually doing this." He was really adamant that we do what it is that we had always done and what he liked about us when he first saw us. The experience was a thrill. Looking back on it all now, it's just wild for me that it even happened. Would you now say that Jersey Boys is the favorite show that you've done? It's a show that's been very good to me. Before I was involved in Jersey Boys, I saw the show. I thought it was one of the greatest pieces of live entertainment ever. It is crafted so brilliantly. For that reason, I love it. I love it not because I'm in it; I just love the show. Becoming a part of it is something I have to keep reminding myself of. I'm still and always will be just a fan of it. Tell me about the TV show you're doing in New York. I'm filming a new show in New York called Madame Secretary. It stars Tea Leoni, Bebe Neuwirth, Patina Miller, who the Tony for Pippin, Keith Carradine, Tim Daly...great cast. Do you have a funny part? I do. It's a one-hour dramatic show, but I'm sort of the comedy of the show. It's beautifully written. it reminds me a lot of The West Wing, and shows like that. We're having a blast. We're just finishing up Episode 3 right now. I'm so happy for all your success, and I'll look forward to the show on the 16th. 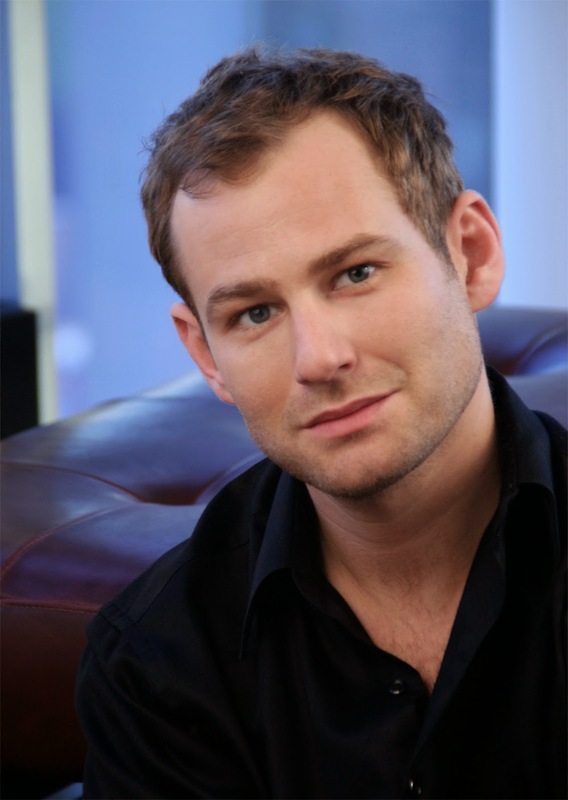 Chad Kimball sat down to talk about his appearance in Broadway Under the Stars and about his Tony-nominated role in Memphis among other career tidbits. What are you performing in the upcoming show? I'm singing a set of my own stuff from Memphis and some other songs that have been pretty influential in my career, like "Memphis Lives in Me" and a couple of pieces that kind of connote Broadway like "Giants in the Sky", and the old standard "You'll Never Walk Alone". Sounds great! Have you been rehearsing? I'm still in New York and have been rehearsing on my own, but when I get to LA in August, we intend to go fast and furious. They're pretty on top of it, so I'm following directions. You're working with some great people. Have you ever worked with Jennifer Holliday before? I have not. I'm really excited about it. I read that you had some health problems that cut into your work in Memphis. Do you care to talk about that? I was doing this rigorous role, very physically demanding onstage...the entire show pretty much. I think I had 10 minutes off stage but that was interspersed throughout the evening. It was just so physically demanding, I actually was diagnosed with nerve damage, which put me out of commission. But I kind of soldiered on and I'm still trying to put the pieces back together. When you have something that you feel is yours and you have a sense of ownership, you pursue the pain. Yes, but nothing that I can't surmount. What is another role that you've really enjoyed playing? I have to say that playing Milky Way the cow in Into the Woods with Vanessa Williams was a huge treat. No, there was no talking whatsoever. It was a huge jump into physical comedy, a real treat for me to be able to do and a treat for the audience as well. Sweeney Todd. In college I played Tobias and then I played Anthony at the Signature Theatre in Arlington opposite Norm Lewis' Sweeney Todd. Who knew that you could do horror in musical theatre? It's amazing! 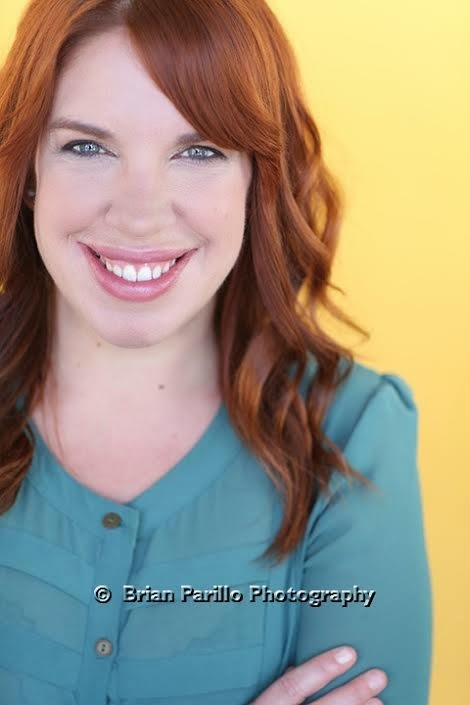 Belting songstress Kate Pazakis was recently named executive producer of Rockwell Table and Stage in Hollywood. In our chat she talks about her past successes and gives us a glimpse of her big plans for Rockwell's immediate future. Kate, you have an amazing voice and have become known as one of the theatre's best kept secrets. How do you react to that? Tell me a few of the shows you have been involved with. I'd rather be nine people's favorite thing than a hundred people's ninth favorite thing.' Wow, I just proved that I am a true theater nerd. My most recent show was South Pacfic directed by the incredible Bartlett Sher. I was a replacement for Head Nurse, Lt. Genevieve Marshall. Other favorite shows include: Jerry Springer the Opera at Carnegie hall starring Harvey Keitel as Jerry and Best Little Whorehouse at the August Wilson starring Jennifer Hudson. I have done a ton of commercials and voice over work...South Park with Bobby Lopez being one of my favorite jobs ever. Mostly I am know for hosting/producing late night cabaret shows in NYC. For 7 years I hosted Mostly Sondheim at the Duplex in Greenwich Village from 11pm - 4am. Brandon Cutrell and I started that back in 2003. Good times. Good people. Cabaret is daunting, but is one of the few places where a good singer can hone his (her) craft. There are only so many stage roles to go around, so what can a singer do? I feel tremendous sorrow for singers today considering the state that the music business is in. Talk about that if you would. I found being a young character actress in NYC there were not a lot of roles out there for me. Accidentally I ended up in a piano bar one night and fell in love with it. Cabaret allowed me to create pieces and develop shows and characters. It should be a place where people work on new material, comic timing, acting and confidence. I highly encourage people to create, create, create. Write yourself a vehicle. Don't sit back and wait to fit into somebody else's vision. How did you become involved at Rockwell? What brought about the position of executive producer? I had heard about Rockwell when I was still living in NYC. When I arrived in Los Angeles three years ago I found myself at a show. Immediately I was overtaken with joy. I knew that I had found my place. It is a venue where NYC transplants, The Bway Community and colorful artists gather to do shows or have drinks after hours. Shortly after arriving I was asked to produce a monthly series called Broadway Barre. Soon I found myself in a couple of shows and producing more shows like Rocky Horror. When the position opened and was offered to me, I was thrilled. It is without a doubt: my dream job. What is your specific vision for the club? First and Foremost: Community. Every time someone walks into Rockwell Table & Stage I want them to have a unique theatrical experience. Every night of the week we are doing something different. We are currently creating new works that will go up in the fall and even added late night programming. On Monday nights we have Broadway themed evenings followed by Open Mic Piano Bar, Tuesdays we have a show called Harbor Party where the band dresses up like Sailors and sings your favorite Yacht Rock. Every Wednesday we have a residency with Jeff Goldblum! Thursdays - Comedy, Friday and Saturday right now we are doing a concert version of Jagged Little Pill with a cast of 16 incredible singers. What kinds of performers will be singing at Rockwell in the near future? Jeff Goldblum every Wednesday, Molly Ringwald, Maria Bamford. Other exciting people that I can announce in just a couple of weeks! I heard your plans involve musical theatre as well as cabaret for the space. (Is this an expansion) On the idea of the recent Baz Luhrman staging? Tell us more! I am VERY interested in doing fully produced musicals at Rockwell. I am currently securing the rights for a show that I am VERY passionate about to start in January. Will you also be performing at Rockwell? Let's hope this position will not take you away from your career as singer/actress. I do emcee a lot of the shows still. Luckily, I work a lot commercially. My passion is leaning more towards producing now. However: No matter how many times I have attempted to retire from performing, somehow it always comes back. Who are your musical idols in show business? Young or old. Dead or alive. Who influenced you the most? Musical Idols: how much time do you have?? Sophie Tucker and Cyndi Lauper. Most of all: Bette Midler. I love her fire and sass. Her journey is inspiring and unique. I love smart, passionate people that make things happen! My goal is to help people see that cabaret is no longer a woman sitting on a stool in a gilttery top talking about moving to NYC. It is fresh, new, cutting edge and hip. Beat boxers, Rock albums uniquely molded to tell a story, musical improvisation. There are no limits. This very prolific gal has some exciting plans for this popular Hollywood nightspot. Stay tuned! 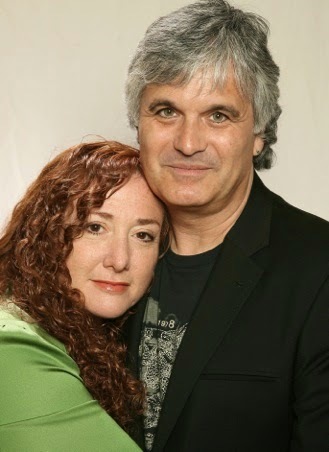 Hope Juber and Laurence Juber chat about their latest stage endeavor Without Annette. Hope co-penned the play with Jeff Doucette, and it is set to open at the Whitefire Theatre in Sherman Oaks Thursday July 10. Her husband Laurence serves as producer. Hope, you grew up in Los Angeles and started acting in television and then writing for television, which is legendary for very long hours. How did you get involved in theatre and where did you find the time? I have always loved theatre, and got my degree in theatre before I went into television. In the 80s, I created a comedy rock band called The Housewives that my father, Sherwood Schwartz loved. He was looking to create a musical based on his show Gilligan’s Island and, as I was married to a talented musician, he asked me to write the score with Laurence and the magic of live theatre just pulled me back in. There is nothing like it. I’d answer the second part of the question, but I have run out of time. Do you find that writing for theatre is different than writing for TV? Very different in the inherent limitations of stage and blocking, but good writing is still good writing. Without Annette is comedy improv. What is the role of a writer in improv? Hope: Without Annette is actually a scripted play set in an improv class. This allows a unique opportunity to blend the two. The exercises within the class can be improvised, and the actors must improvise from their character’s point of view. As a writer, I find improvisation immensely helpful. It encourages left turns in the brain, and keeps you receptive to ideas. I was taking an improvisation workshop with Jeff Doucette. He is an amazing improvisor and a seriously wonderful character actor. As I was looking around at all the individuals in the class, it occurred to me that it was a very fertile ground for a play, as each of us had our own unique reason for being there. Laurence: There was a lot of work that went into finding the right cast and then running an improv workshop to develop a ‘group mind’. Without Annette has a dynamic that is comparable to big band jazz, where a tight ensemble performs structured arrangements with room for improvised riffs. It’s one of the things I found so compelling about this piece. Laurence, what are the duties of a producer in theatre? What artistic input does the producer have? It’s not particularly glamorous - a lot of spreadsheets, check writing, phone calls, emails and figuring out advertising/marketing angles. We are very lucky to have The Whitefire as our neighborhood theatre, so that was an easy call to make. There are a lot of details and deadlines. My job artistically is to help it come to life - I wanted to see this particular work on its feet. What are the challenges of producing a show like Without Annette? It’s double cast (one role is triple cast), so there are 23 available performers in the company and 2 stage managers. Gabrieal Griego is co-producing which takes some of the load from me. It’s less complicated than doing a musical plus we have a minimal set, so the logistics are manageable. It’s configured to move in and out of the theatre one night a week, so the focus is on the piece and the finely-drawn characters. As a musician, have you been called on to add music to the production? Music and comedy are natural bedfellows. I’m playing the musical interludes live and also doing a pre-show mini-concert, so I recommend arriving early. I have concert commitments, but fortunately I’ll only miss one Annette show during the run. Hope and I also wrote a couple of songs for the improv show finale of the play. Is there life in the theatre for you after Annette? Hope: I will continue to write, create and produce. I am always working on something. I have recently rewritten my musical It’s The Housewives! for a 4 person cast, and I would love to see that up soon. Laurence: There are ongoing discussions about our other musicals and I expect to continue to work creatively in theatre. Runs: Thursdays – July 10th through October 2nd (Dark Sept. 25th). Tickets: Thursday performances - $34. Buy Tickets: www.plays411.com or (323) 960-5773.